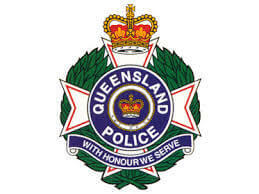 NT Police are in the planning stages of expanding CCTV into smaller suburbs and filling blind spots in existing areas. Shane Moten, system administrator at joint emergency services communications centre, NT Police, said CCTV has enabled them to provide another level of policing. “The benefits are in incident detection both pre and post identifying people of interest and helping better manage anti social behaviour (ASB) and hotspots,” he said. In December 2009, the NT Government and the Australian Government committed $8.6 million to establish a CCTV system to equip the Police with resources to help monitor and reduce anti-social behaviour on the streets of Darwin. Mr Moten told Government News, NT Police worked closely with Darwin and Palmerston city councils to implement the cameras. “DCC and PCC provided permission and also provided infrastructure for us to install our CCTV equipment onto,” he said. Read the full article here at Government News.